Improv Comedy! ~ Learn, Live, and Explore! One of my new years resolutions two years ago was to join an improv comedy class. 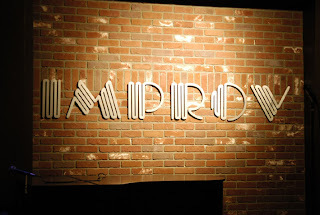 I'm very fortunate to live in a town that has a lot of improv activity and two structured programs to choose from. And I've tried them both now! I've taken four classes through Washington Improv Theater (or more commonly known as WIT) and am currently wrapping up a Short Form (or Whose Line Is It Anyway style games) class at DC Improv. Improv has not only been a great outlet for my goofiness, but I've learned a lot of techniques that can easily be applied to my everyday life. I was amazed by that! The two that come to mind are: active listening and agreement (or don't be a selfish teammate). Active Listening: I will be the first to admit that my multi-tasking habits have become worse as time passes -- in fact I'm multi-tasking right now as I write this blog and listen to a conference call. It is a habit that has created a false sense of efficency and has become detrimental to my ability to be present at any point in time. Add to that all of the media noise in my life (phone, internet, iPad, etc.) and my listening skills are poor at best. In an improv scene, if you don't listen you are setting yourself, and your castmates, up for failure because the moment you contradict information presented earlier in the scene, you have put the show in jeopardy of losing the audience. Improv scenes are dependent upon the suspension of reality, so once you jar the audience out of that mindset, you're done. Safe to say that my adherence to this rule of improv is a work in progress!! Agreement: Have you ever noticed that people tend to react negatively when you respond with a sentence that starts with or includes early on the word "but"? Another key teaching of improv is agreement. It doesn't necessarily commit you to agreeing 100% to what you're given, but it does force you to pause and think. And rather than negating what you're given, the foundational principal of improv is summed up into two words and a comma: "YES, AND?" Think about that the next time you respond in a conversation. It's hard, but just like agreement tends to be received more positively in casual conversation, agreement plus additional information makes an improv scene funnier. Especially, when you're working opposite of a fantastic improviser who smacks you in the face with a huge loaded statement (e.g., Your mother and I have decided to solve our money problems by selling you as wife #132 for the Sultan of Kissmyfootstan), agreement adds so much more. Which is better: (2) a natural reaction of outrage by the daughter for being sold by her parents or (2) a non-spoken "yes, and" response of "I hope you got a good price because I've valued myself at around (whips calculator out of pocket) at least a quarter of a billion." I kind of want to know where #2 is going. Bonus, you've also created your character with that statement! So, if you've ever wanted to take a class where you get to have a lot of fun, be creative, be smart, and just take a break from your everyday life, I highly recommend getting in on a Foundations of Improv class. Honestly, between the two options mentioned earlier, WIT has been a better experience for me. Do you think you couldn't be a success at improv? Well, can you listen? Can you agree? Can you make choices and stick with them? Then you're a beginner improviser! Just do it! WIT offers free workshops if you are still not sure. If a class or workshop are too much, then come out to a show at least! 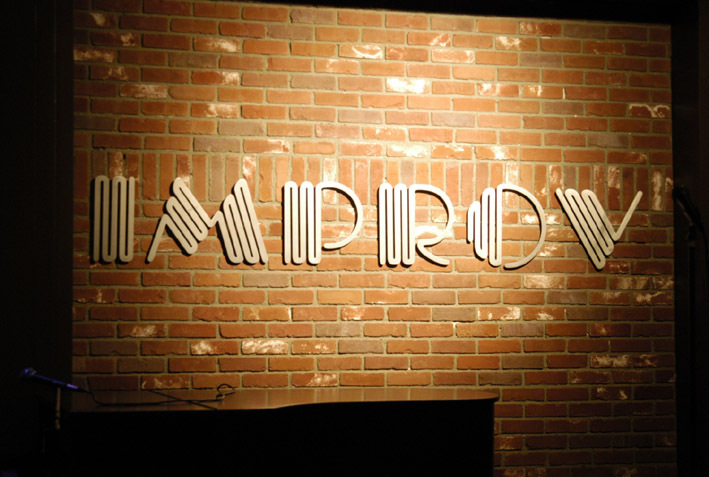 And, of course, when you're in NYC (Upright Citizens Brigade), Chicago (Second City), or LA (The Groundlings), make taking in a show at one of their famous improv theaters a highlight of your itinerary! You won't regret it.